Roswell to Dallas was the next leg of the trip. 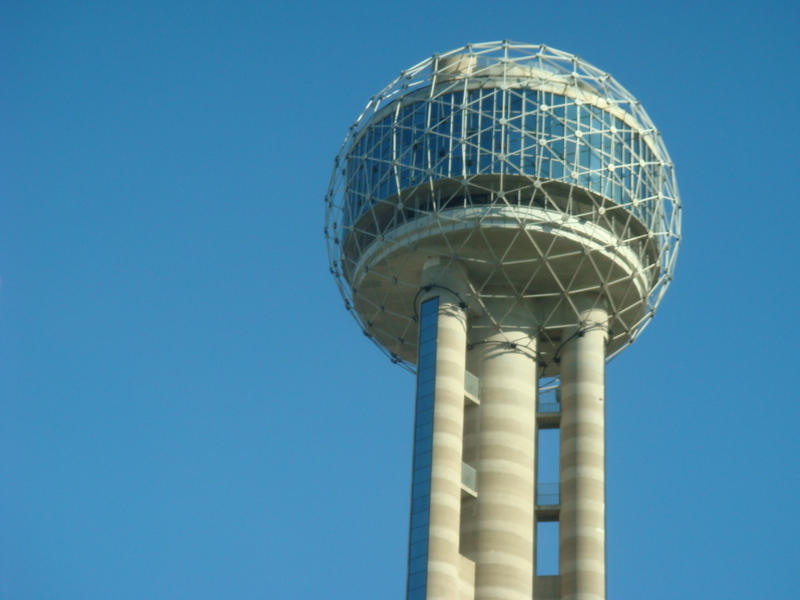 It was our second go-around in “Big D” and Jim, not one to detour from schedule, had us booked in the same high-rise off the interstate in Irving. I called my brother as we got into town and we made plans to get together the next day, a Sunday. I was looking forward to seeing little Miss Dillan again. That night Jim and I had dinner at the Black Eyed Pea restaurant. It was in the Oaklawn neighborhood, a trendy section of Dallas and fairly crowded. I think the drawing power of this place isn’t the food but it’s proximity to J.R.’s. After our meal, we walked down to J.R.’s for a drink. Funds were starting to run low, so Jim advised we had best order beer. During our first swing through, I had let the conversation come to me. This time, knowing it would be my last metro, urban experience for a while, I decided to get more aggressive with the patrons. At this hour it was mostly those professional types. Guys with jobs, careers and a whole ‘lotta attitude. Challenge accepted. As we sat with our backs to the bar, I noticed a group of guys standing around, drinks in hand, and shooting the bull. They were obviously all friends and it was nice to see. Naturally, I focused on the smallest one, a Ginger dressed in a sweater and slacks. Preppy as hell. When he made his way to the bar to order drinks, I saw my opening and introduced myself as a tourist from Florida. “Oh, ok, welcome,” he said and smiled. I introduced the Ginger to Jim and then he asked why we were in Dallas. The Ginger thought that was nice and must have picked up a decent enough vibe off me to introduce Jim and I to his gaggle of friends. They were all pretty swell guys. The senior statesman of the bunch was a married fellow who apparently liked to hang out with gay men. I enjoyed talking with him. Turns out it was his birthday and the guys had brought him to Oaklawn on a Saturday night to celebrate. Surprisingly, the married guy knew a lot about Panama City. Much more than the Ginger. The Ginger was a school teacher. That explained his preppy look. He was a tad older than me, but not by much. One of his friends was an insurance adjuster and surly as hell. One of those queens that thinks he’s better than everybody else. I gave him my card, but he didn’t seemed impressed. The Ginger, however, was very sweet. He invited Jim and I to join his group next door at the dance club. Jim had been before and was interested in seeing the laser light show. We made it in just before the cover charge kicked in, which was a good thing for a Saturday night. The place was huge, multiple levels with bars, stages and sofas everywhere. After we walked around for a while, the group settled on an upstairs room with glass walks overlooking the dance floor. Jim took a seat up close so he could watch the lights and the people dancing below. The music was very loud and very trance like. The Ginger took a seat by me on the sofa. He was clearly smitten and I, quite frankly, enjoyed his company. My aggressive tactics were paying off and sure enough, the Ginger invited me back to his place to spend the night. I thanked him, but declined the offer. My priority tomorrow was family and I was determined to get a good night’s sleep. This seemed to impress the Ginger even more and he gave me his number, insisting I call when I was free. Jim and I left the club just as the youngsters began filing in. “So you turned him down, huh,” Jim cracked as we drove back to the hotel. He knew what was going on. The ol’ engineer wasn’t watching just the light show. “Yeah, I guess I did,” I said.